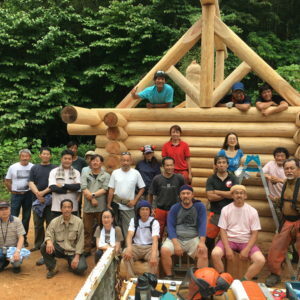 This site is owned and operated by BC Log & Timber Building Association (referred to as “BC Log & Timber Building Association”, “we”, “us”, or “our” herein). No material from the site may be copied, reproduced, republished, uploaded, posed, transmitted, or distributed in any way, except that you may download one copy of the materials on any single computer for your non-commercial use only, provided that you keep intact all copyright and other proprietary notices. Modification of the materials or use of the materials for any other purpose is a violation of BC Log & Timber Building Association copyright and other proprietary rights. The use of any such material on any other Web site or networked computer environment is prohibited. BC LOG & TIMBER BUILDING ASSOCIATION SHALL NOT BE LIABLE FOR ANY DAMAGES OR INJURY RESULTING FROM YOUR ACCESS TO, OR INABILITY TO ACCESS, THIS SITE, OR YOUR RELIANCE ON ANY INFORMATION PROVIDED AT THIS SITE. WITHOUT LIMITING THE FOREGOING, EVERYTHING ON THE SITE IS PROVIDED TO YOU “AS IS” WITHOUT WARRANTEE OF ANY KIND, EITHER EXPRESSED OR IMPLIED, INCLUDING, BUT NOT LIMITED TO, THE IMPLIED WARRANTIES OF MERCHANTABILITY, FITNESS FOR A PARTICULAR PURPOSE, OR NON-INFRINGEMENT. BC LOG & TIMBER BUILDING ASSOCIATION DOES NOT WARRANT THAT THE FUNCTIONS CONTAINED IN THE MATERIALS WILL BE UNINTERRUPTED OR ERROR-FREE, THAT DEFECTS WILL BE CORRECTED, OR THAT THIS SITE OR THE SERVER THAT MAKES IT AVAILABLE ARE FREE OF VIRUSES OR OTHER HARMFUL COMPONENTS. BC LOG & TIMBER BUILDING ASSOCIATION DOES NOT WARRANT OR MAKE ANY REPRESENTATIONS REGARDING THE USE OR THE RESULTS OF THE USE OF THE MATERIALS IN THIS SITE IN TERMS OF THEIR CORRECTNESS, ACCURACY, RELIABILITY, OR OTHERWISE. 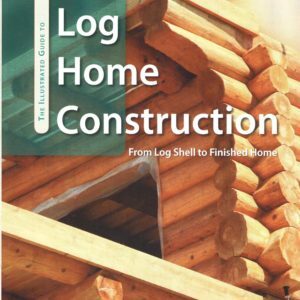 YOU (AND NOT BC LOG & TIMBER BUILDING ASSOCIATION) ASSUME THE ENTIRE COST OF ALL NECESSARY SERVICING, REPAIR, OR CORRECTION. APPLICABLE LAW MAY NOT ALLOW THE EXCLUSION OF IMPLIED WARRANTIES, SO THE ABOVE EXCLUSION MAY NOT APPLY TO YOU. Under no circumstances, including, but not limited to, negligence, shall BC Log & Timber Building Association be liable for any special or consequential damages that result from the use of, or the inability to use, the materials in this site, even if BC Log & Timber Building Association or a BC Log & Timber Building Association authorized representative has been advised of the possibility of such damages. In no event shall BC Log & Timber Building Association have any liability to you for damages, losses and causes of action whether in contract, tort (including, but not limited to, negligence), or otherwise, for accessing this site. BC Log & Timber Building Association also assumes no responsibility, and shall not be liable for any damages to, or viruses that may infect your computer equipment or other property on account of your access to, use of, or browsing in the Site or your downloading of any materials, data, text, images, video, or audio from the Site.